Set in the cheetah capital of the world, Otjiwarongo. 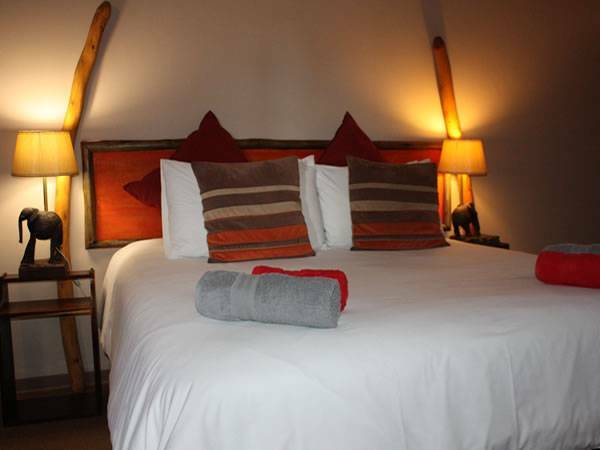 The Bush Pillow Guest House offers tranquility, style and comfort. 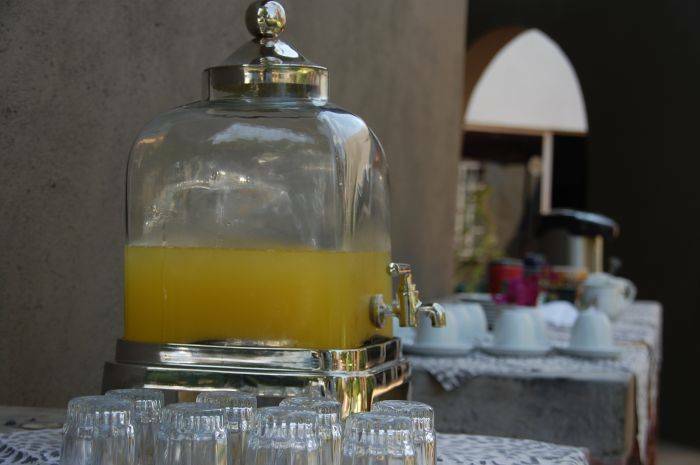 It is conveniently located to use as a base for visiting the Etosha Game Park, and the Waterberg Plateau. We are situated 1km from the business hub of Otjiwarongo. It is the ideal location; far enough from the hustle and the bustle to enjoy a peaceful rest but close enough to be at your business meeting or one of the great attractions in minutes. Relax outside by our bright blue pool or enjoy our very comfortable lounge area where you can enjoy the owners art collection or indulge in one of the many books in his private collection. We also have a nice airy Dining room where you can have dinner if it is pre-arranged. 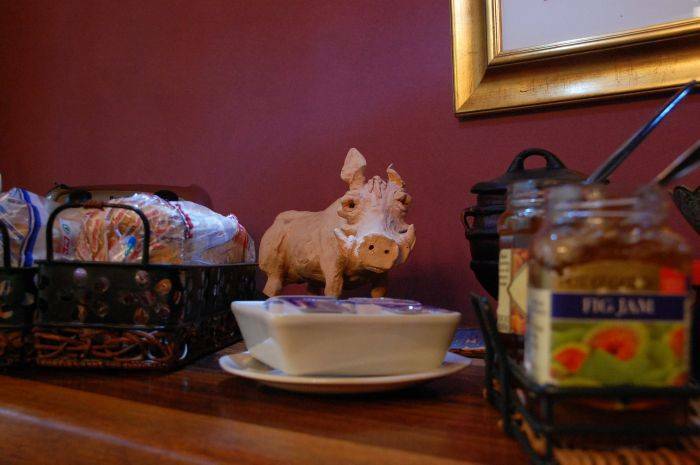 We offer spacious en-suite rooms, complimentary tea/coffee facilities, satelite TV, a BBQ area, swimming pool and good food. 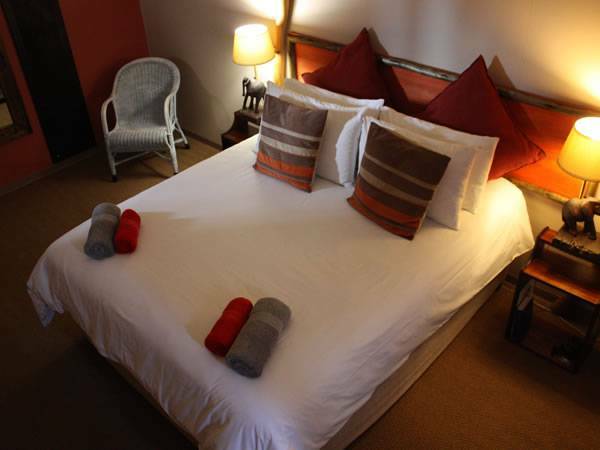 We have 7 elegantly furnished, quality en-suite bedrooms. The warm decor and soft furnishings in the rooms create an ambience that our guests will truly appreciate. 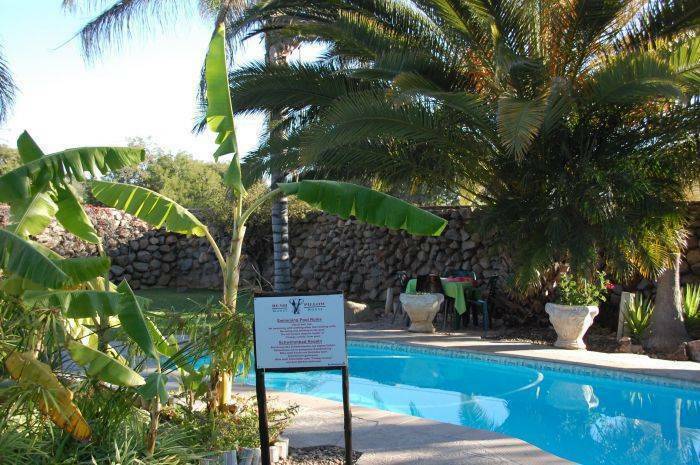 We are situated in a peaceful suburb of Otjiwarongo and are centrally located to attrcations such as Waterberg, Etosha, Cheetah Conservation, Gamkarab Caves, etc. 50% deposit required on confirmation. Entering from Windhoek on the B1 North, pass the traffic circle and turn left before the Caltex Gas Station at the next intersection. Follow Son Road for 1. 1km and you'll find us on the corner of Son Road and Hoog Street. This is opposite the town sports grounds. Entering from the North (Otavi & Tsumeb) on the B1 South, follow the main road through the town center and turn right at the Caltex Gas Station intersection into Son Road. Follow Son Road for 1. 1km and find us on the corner of Son Road and Hoog Street. This is opposite the town sports grounds. Entering from Outjo & Omaruru on the C33/C38, turn right into Son Road. This is the 2nd street to your right as you enter the town. Bush Pillow is 300m up the road on the corner of Son Road and Hoog Street.